Brenda Dominguez gets a hug from her cousin Joanne Dominguez. With them is Brenda’s sister Angela Dominguez. After twelve years of sobriety, the moment Brenda Dominguez began to take control of her life is as fresh in her mind as if it were yesterday. She is 38 now. At age 25, in the wee hours after another day of drugs, she recalls, she was in a single bed, wide awake, with her two young sons sleeping on either side of her. In the next room her parents, also drug addicts, slept. It was their apartment; the place was home to the extended family and gave them what little stability they had. On a bright November day, in the living room of her new Habitat for Humanity home in Dunn, she is trim, clear-eyed and confident, with a warm smile and an engaging personality. Her sons, Nicholas Reese Jr., 17, and Joseph Lee Reese, 15, are the kind of teens all parents hope to have. It’s hard to imagine how she got to this point from the despair she suffered as a young, single mother. And she did it all on her own. No counseling. No official rehab programs. No runs-ins with the law. She credits her budding faith. Her transformation from drugs and despair was not done in an instant, and it wasn’t without some relapses; the arc was long but the goal was clear: She was going to beat her addictions and do right by her sons. When asked how she broke her bad habits, Dominguez exhales slowly and takes a long pause. She has to reach way back to explain it. Another pause. She goes on. Even her youngest memories are of her parents struggling with money. The Dominguez family’s home was built by Habitat for Humanity of Harnett County. The house was built as part of the State Employees Credit Union Foundation’s Mountains-to-the-Sea Challenge, a $10 million initiative to build a Habitat home in each of North Carolina’s 100 counties. Once the homeowner assumes a zero-percent-interest mortgage from SECU, the money is returned to the Habitat affiliate so that another home can be built. There was an epiphany when she was pregnant with her second child. She was terrified that the drugs and drinking had damaged her baby. “I prayed one night. I talked to the Lord. I said, if you heal my son, whatever might be wrong with him, all the drugs I was doing, the drinking, the marijuana, I just knew inside myself that something was going to be wrong with him. I said, Lord, if you just heal whatever I may have damaged. If you heal whatever is wrong I promise I will never touch that stuff again. “It’s a question of how much do you love yourself?” Dominguez says. “How much do you love your children? Neither of them asked to be here. And it’s not fair to them that they struggle because of my choices.” Eventually, she put the marijuana aside, and even the alcohol. And that was it. 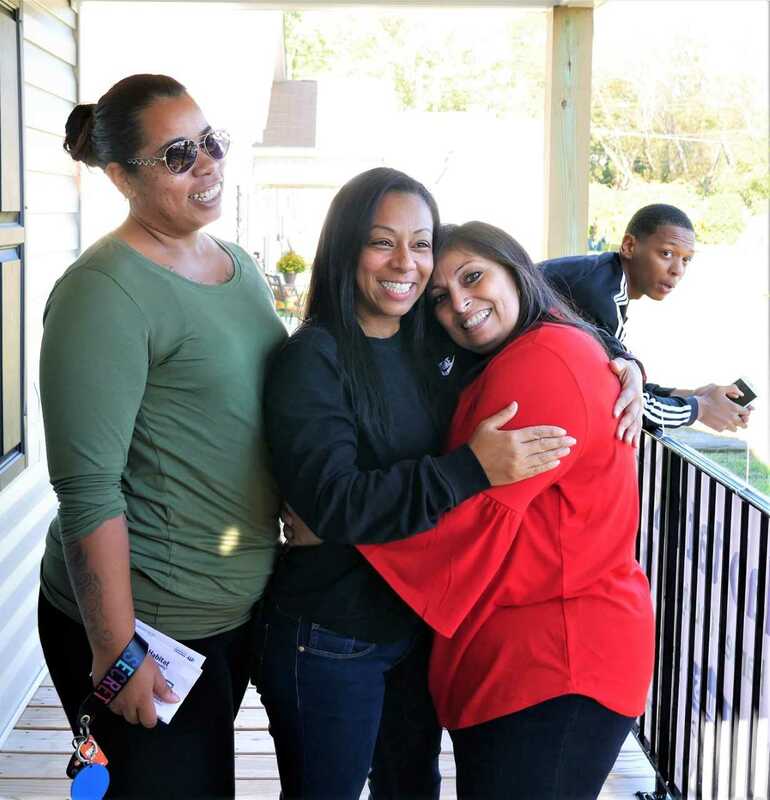 Today she is free of all addictions, with a steady job she’s held for about three years and a brand-new home thanks to Harnett County Habitat for Humanity. 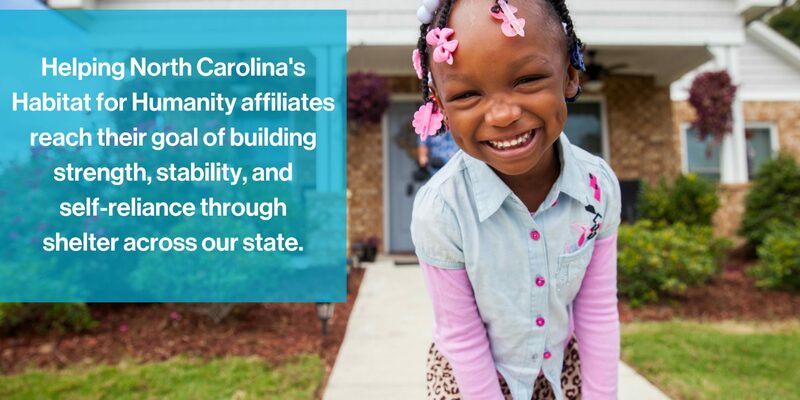 Dominguez’s house is part of the State Employees Credit Union Foundation’s $10 million Mountains-to-the-Sea Challenge, to build a Habitat home in each of North Carolina’s 100 counties. Once the homeowner assumes a zero-interest-rate mortgage from SECU, the money is returned to the affiliate so that another home can be built. For Dominguez, there’s more good news. Her parents have followed her lead and given up drugs. They’re still together and doing well. Dominguez would like to use her experiences to help others.